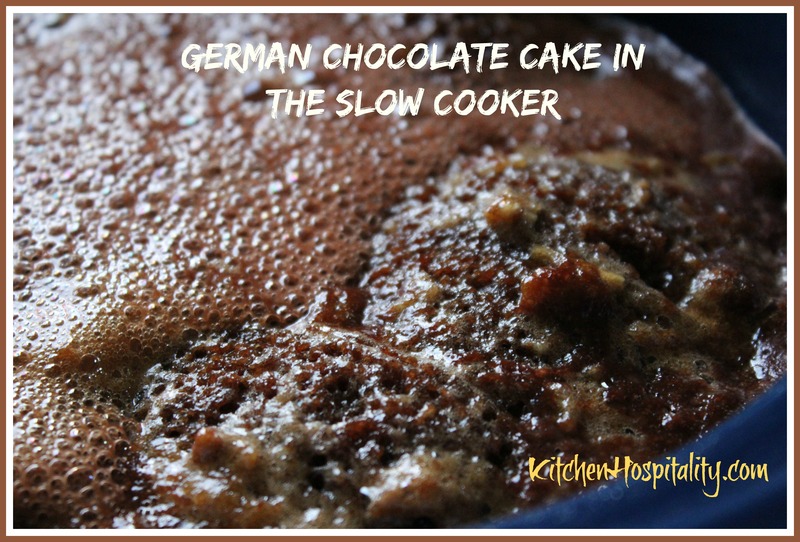 Yes, You Can “Bake” a Cake in the Slow Cooker! Since I began my 30 days of slow cooker recipes at the beginning of April, I have determined that there is one recipe, for sure, that I will experiment with. 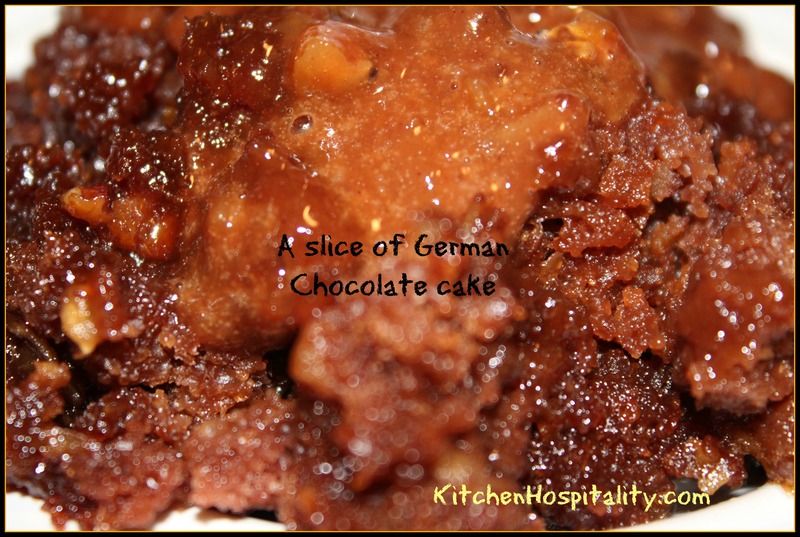 It’s my favorite cake, German Chocolate. 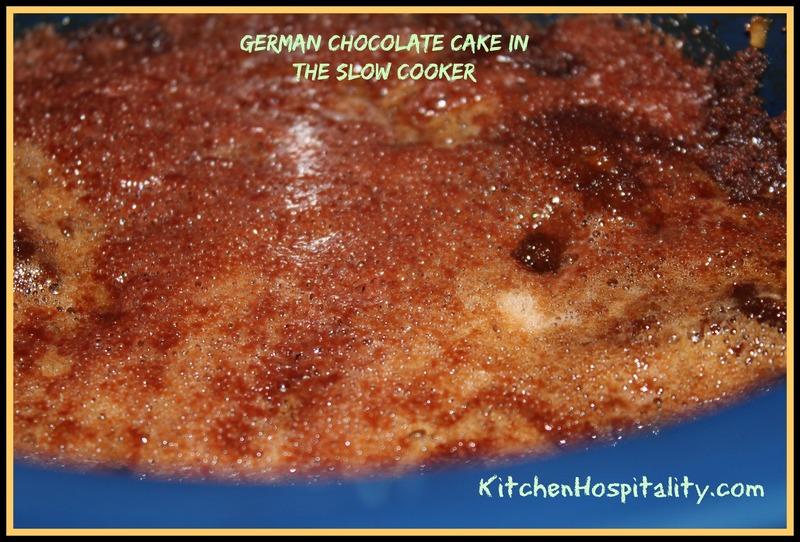 My mother made the best German Chocolate cake, and I have her recipe. It’s the best I’ve ever had. What’s the Difference Between an Oven-Baked and Slow Cooker Cake? I’ve made a couple of cakes in the slow cooker, and it is a little different than baking them in the oven. The first one I made was a type of dump cake. It seemed like a dump of mush at the two-hour mark, so I cooked it longer. Finally, I figured it must be done, so I turned the slow cooker off. The flavor was good, but the texture was very different than what I was used to. Then I made a fudge brownie pudding cake, and it tasted delicious. Again, it had a different texture than an oven-baked cake. However, it tasted fantastic A-la-mode. When we had the first bite at 2 hours, it needed to cook longer. However, that first bite was wonderful. Oh my! Then we had the second helping after it had cooked 2-1/2 hours. It tasted amazing. I made the recipe differently than how I usually make it according to my mother’s recipe. That’s because I didn’t have the exact ingredients on hand. This slow cooker recipe is definitely a keeper. Prepare the cake mix according to the box instructions, including oil, eggs, and water. Spray the sides and bottom of slow cooker with cooking spray. Pour the cake batter into the slow cooker. Pour icing mixture into the middle of the cake mixture. Cook 2-1/2 hours on high. YUM! My favorite, German Chocolate cake, was great! What is your favorite cake, and have you tried it in the slow cooker yet? This recipe is delicious. I wanted to keep eating it until it was gone.